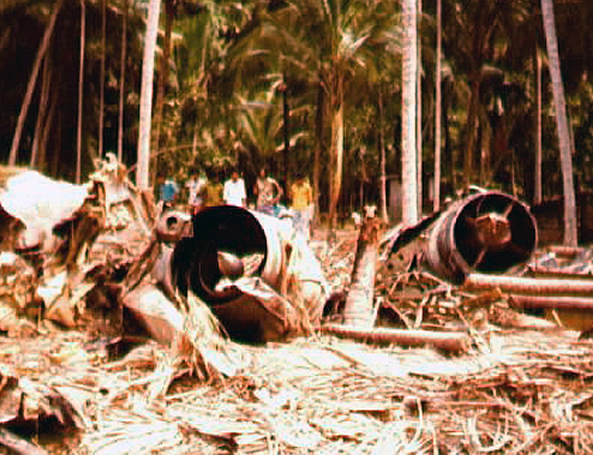 The aircraft crashed short of the runway into a coconut plantation while attempting to land in heavy rain. Windshear. Excessive sink rate. Crew's non-conformance with approach procedures. Incorrect information supplied by the radar controller. Lack of an approach lighting system at Bandaranaike.